Below are some of the resources we offer our members, including listservs so you can stay up to date with our offerings, a growing RFP Library, copies of license agreements, trials, and other services just for members. We even have a Who Has What list, so if you're ever researching a new product, you can see what libraries nearby already have it. 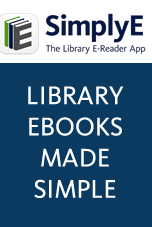 A searchable list of the electronic resources that our members offer. Search by system, library, or database. Listservs Stay up-to-date with Califa! Learn about our new products and contracts as soon as they are available, find out about upcoming products, webinars, and all the Califa activities. Pick a listserv that you would like to join below. You may sign up for any, or all, of the following listservs by contacting us at califa@califa.org. Stay up-to-date with monthly newsletters from Califa! Learn about our new products and contracts as soon as they are available, find out about upcoming products, webinars, and all the Califa activities. To sign up to receive Califa's monthly newsletter, send us your contact information at califa@califa.org.